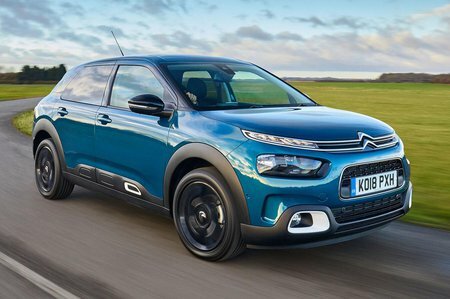 Citroën C4 Cactus 1.5 BlueHDi Feel 5dr 2019 Review | What Car? What Car? will save you at least £2,986, but our approved dealers could save you even more. Entry-level Feel trim gets plenty of equipment, including a 7.0in touchscreen system with a DAB radio, Apple CarPlay, Android Auto and MirrorLink smartphone mirroring and Bluetooth, a USB socket, air-con, electric front windows, 16in alloy wheels, rear parking sensors and cruise control. You get a decent amount of low-rev shove from this 1.6-litre diesel engine and it’s the most economical in the range, with the lowest CO2 emissions. It’s quite noisy, though, and not as willing as the Puretech 110 petrol.